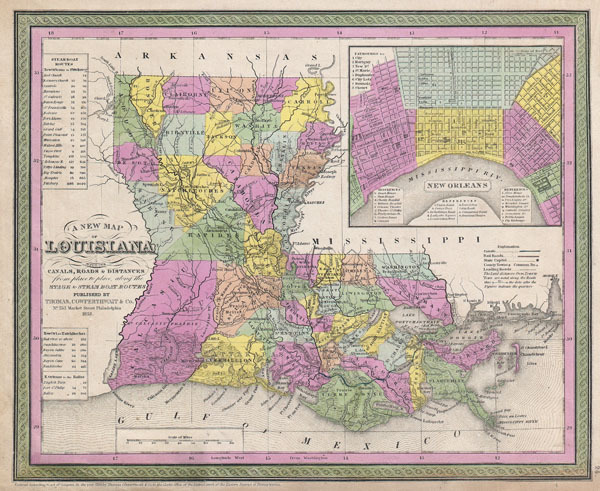 A New Map of Louisiana with its Canals, Roads & Distances from placeto place, along the Stage & Steam Boat Routes.. Very good condition. Overall toning. Blank on verso.